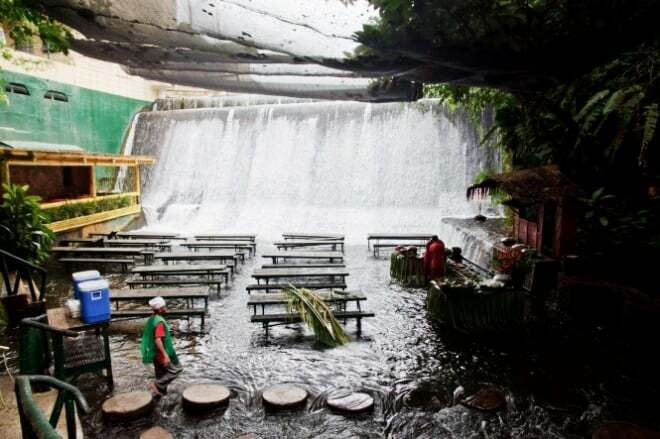 Villa Escudero is located in Quezon Province, Philippines, and it offers a vast hacienda filled with comfortable rooms, and a museum of curious things. 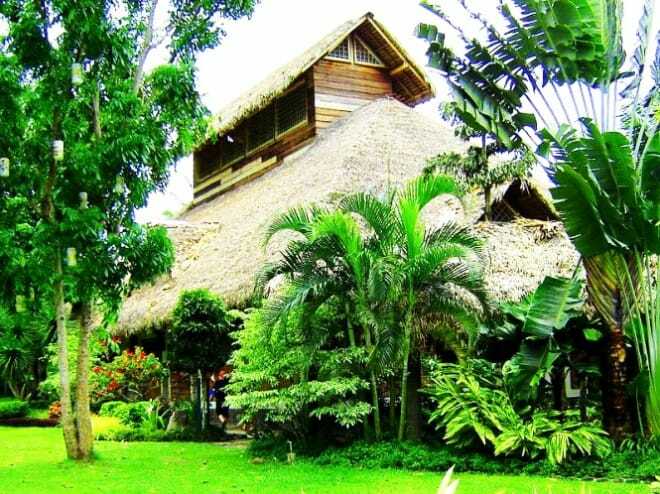 If you want to spend some time here, you’ll be welcomed with a warm greeting and a cool tropical drink. 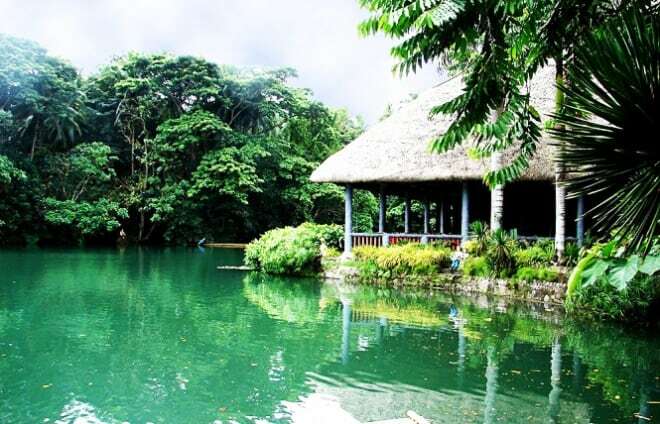 Be exhilarated by majestic volcanic mountains, rows of regal coconut trees, luxuriant fields and the happy faces and light-hearted voices of the village folk. 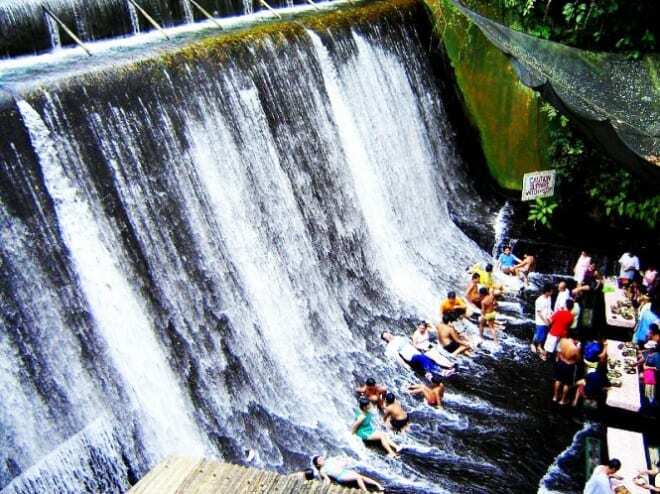 All combine into a distinct adventure. 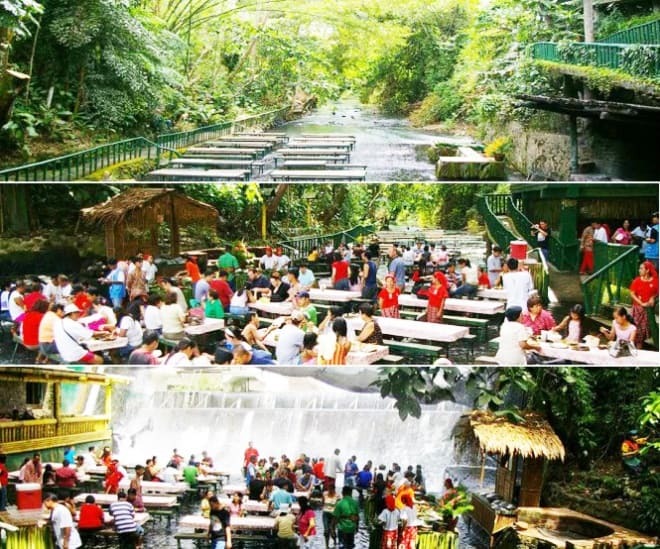 Whatever staying for a day or planing for a longer vacation, Villa Escudero will truly make your stay more memorable with a variety of accommodation options guaranteed to fulfill everyone’s travel needs. 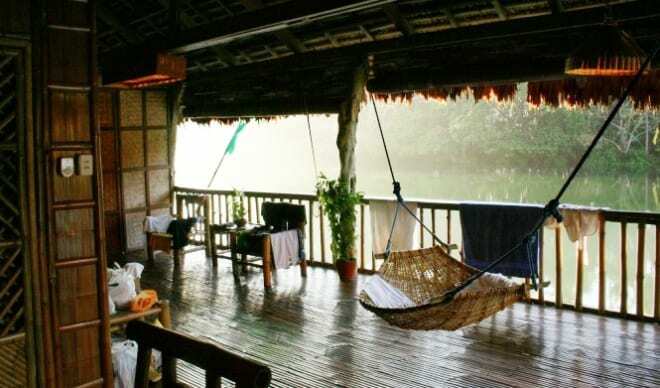 Villa Escudero offers a range of overnight accommodations. 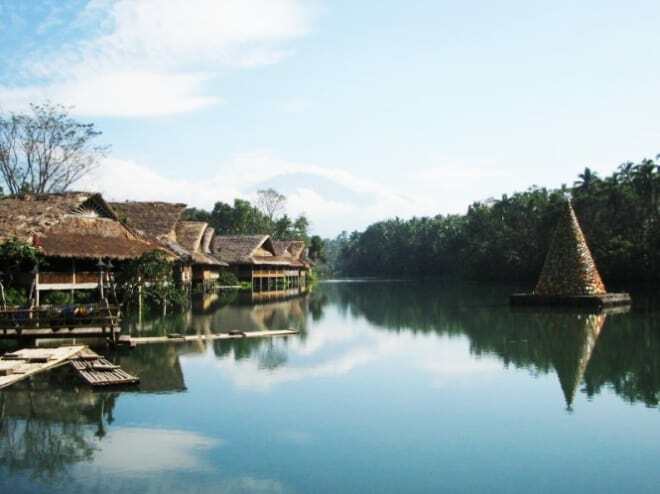 There are large riverside cottages and apartment style units, each individually designed using indigenous materials like bamboo, anahaw leaves and coconut lumber. 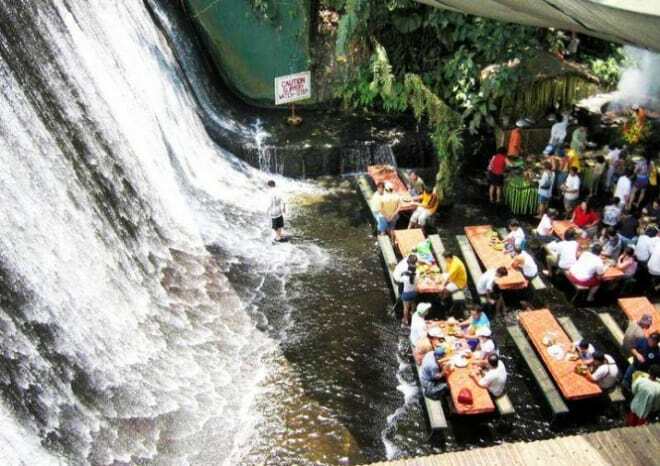 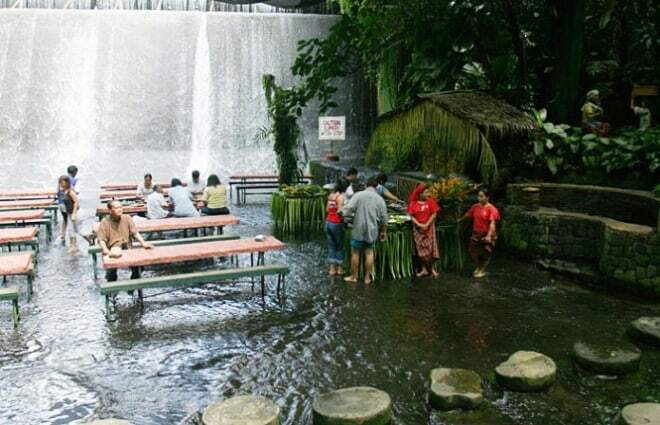 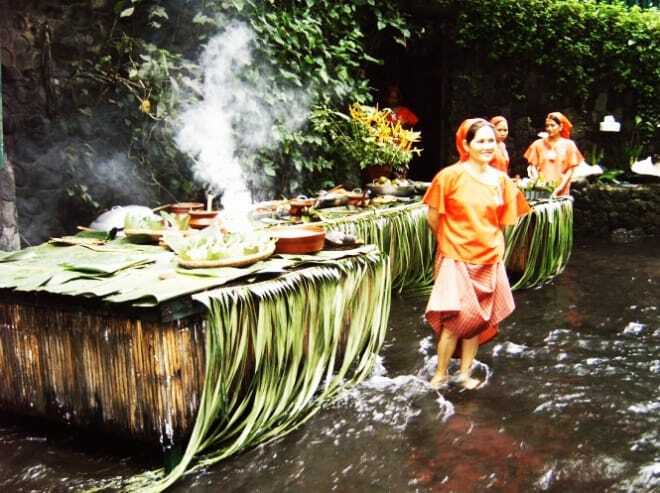 Lunch is served on bamboo dining tables set in a few inches of crystalline running water from the falls. 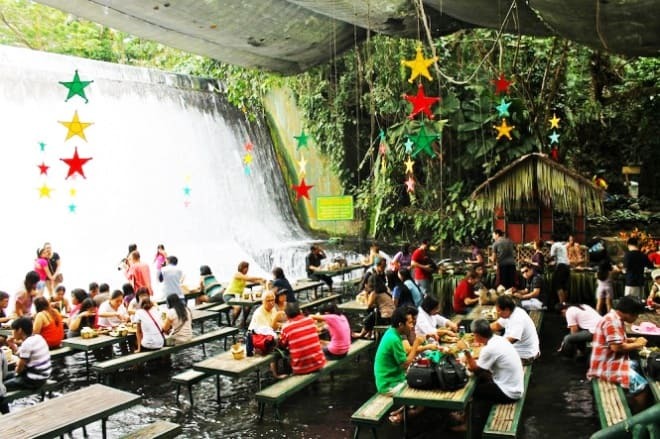 The experience of dining on delicious local dishes with the sparkling waterfalls as a backdrop with clear spring water running over your feet is a truly singular and memorable experience only Villa Escudero can offer.